Redrejo-Rodríguez, M. and Salas, M. L. (2014). Repair of base damage and genome maintenance in the nucleo-cytoplasmic large DNA viruses. Virus Res 179: 12-25. Redrejo-Rodríguez, M., Rodríguez, J. M., Suárez, C., Salas, J. and Salas, M. L. (2013). Involvement of the reparative DNA polymerase Pol X of African swine fever virus in the maintenance of viral genome stability in vivo. J Virol 87(17): 9780-9787. Rodríguez, J. M. and Salas, M. L. (2013). African swine fever virus transcription. Virus Res 173(1): 15-28. Salas, M. L. and Andrés, G. (2013). African swine fever virus morphogenesis. Virus Res 173(1): 29-41. Alejo, A., Andrés, G., del Rosal, M., Salas, M. L. (2013). African swine fever virus polyprotein processing proteinase. Handbook of Proteolytic Enzymes. Academic Press, 2385-2390. Windsor, M., Hawes, P., Monaghan, P., Snapp, E., Salas, M. L., Rodriguez, J. M. and Wileman, T. (2012). Mechanism of collapse of endoplasmic reticulum cisternae during African swine fever virus infection. Traffic 13(1): 30-42. Dixon, L. K., Alonso, C., Escribano, J. M., Martins, C., Revilla, Y., Salas, M. L., Takamatsu, H.(2012). Asfarviridae. In: King, A. M. Q. Adams, M. J., Carstens, E. B. and Lefkowitz, E. J. (eds). Virus Taxonomy, Ninth Report of the International Committee on Taxonomy of Viruses. Elsevier Inc, 153-162. Ballester, M., Rodríguez-Cariño, C., Pérez, M., Gallardo, C., Rodríguez, J. M., Salas, M. L. and Rodriguez, F. (2011). Disruption of nuclear organization during the initial phase of African swine fever virus infection. J Virol 85(16): 8263-8269. Redrejo-Rodríguez, M., Rodríguez, J. M., Salas, J., Salas, M. L. (2011). Repair of viral genomes by base excision pathways: African swine fever virus as a paradigm. In Storici, F. (ed). DNA Repair-On the Pathways to Fixing DNA Damage and Errors. InTech Publisher, 79-96. Suárez, C., Gutiérrez-Berzal, J., Andrés, G., Salas, M. L. and Rodríguez, J. M. (2010). African swine fever virus protein p17 is essential for the progression of viral membrane precursors toward icosahedral intermediates. J Virol 84(15): 7484-7499. Suárez, C., Salas, M. L. and Rodríguez, J. M. (2010). African swine fever virus polyprotein pp62 is essential for viral core development. J Virol 84(1): 176-187. Rodríguez, I., Nogal, M. L., Redrejo-Rodríguez, M., Bustos, M. J. and Salas, M. L. (2009). The African swine fever virus virion membrane protein pE248R is required for virus infectivity and an early postentry event. J Virol 83(23): 12290-12300. Redrejo-Rodríguez, M., Ishchenko, A. A., Saparbaev, M. K., Salas, M. L. and Salas, J. (2009). African swine fever virus AP endonuclease is a redox-sensitive enzyme that repairs alkylating and oxidative damage to DNA. Virology 390(1): 102-109. Nunes-Correia, I., Rodríguez, J. M., Eulálio, A., Carvalho, A. L., Citovsky, V., Simões, S., Faro, C., Salas, M. L. and Pedroso de Lima, M. C. (2008). African swine fever virus p10 protein exhibits nuclear import capacity and accumulates in the nucleus during viral infection. Vet Microbiol 130(1-2): 47-59. Eulálio, A., Nunes-Correia, I., Salas, J., Salas, M. L., Simões, S. and Pedroso de Lima, M. C. (2007). African swine fever virus p37 structural protein is localized in nuclear foci containing the viral DNA at early post-infection times. Virus Res 130(1-2): 18-27. Epifano, C., Krijnse-Locker, J., Salas, M. L., Rodríguez, J. M. and Salas, J. (2006). The African swine fever virus nonstructural protein pB602L is required for formation of the icosahedral capsid of the virus particle. J Virol 80(24): 12260-12270. Epifano, C., Krijnse-Locker, J., Salas, M. L., Salas, J. and Rodríguez, J. M. (2006). Generation of filamentous instead of icosahedral particles by repression of African swine fever virus structural protein pB438L. J Virol 80(23): 11456-11466. Granja, A. G., Sabina, P., Salas, M. L., Fresno, M. and Revilla, Y. (2006). Regulation of inducible nitric oxide synthase expression by viral A238L-mediated inhibition of p65/RelA acetylation and p300 transactivation. J Virol 80(21): 10487-10496. Redrejo-Rodríguez, M., García-Escudero, R., Yáñez-Muñoz, R. J., Salas, M. L. and Salas, J. (2006). 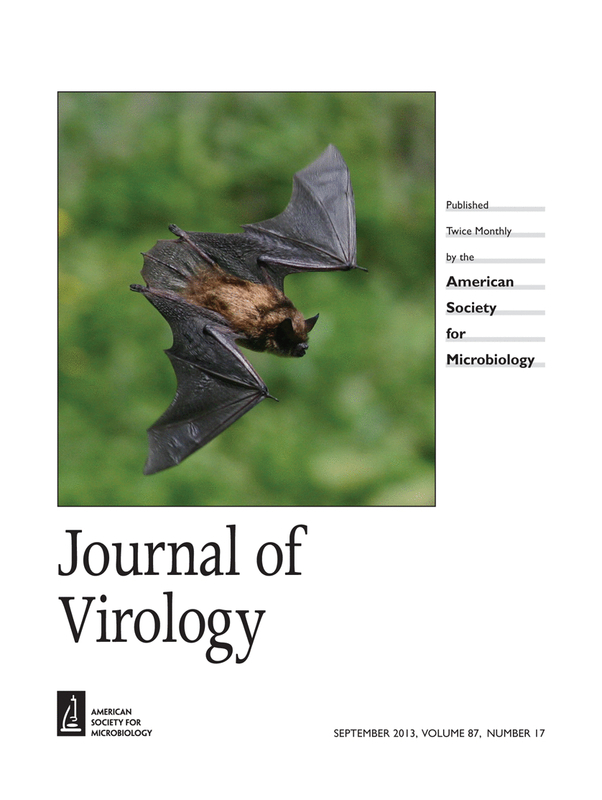 African swine fever virus protein pE296R is a DNA repair apurinic/apyrimidinic endonuclease required for virus growth in swine macrophages. J Virol 80(10): 4847-4857. Rodríguez, I., Redrejo-Rodríguez, M., Rodríguez, J. M., Alejo, A., Salas, J. and Salas, M. L. (2006). African swine fever virus pB119L protein is a flavin adenine dinucleotide-linked sulfhydryl oxidase. J Virol 80(7): 3157-3166. Eulálio, A., Nunes-Correia, I., Carvalho, A. L., Faro, C., Citovsky, V., Salas, J., Salas, M. L., Simões, S. and de Lima, M. C. (2006). Nuclear export of African swine fever virus p37 protein occurs through two distinct pathways and is mediated by three independent signals. J Virol 80(3): 1393-1404. Granja, A. G., Nogal, M. L., Hurtado, C., Del Aguila, C., Carrascosa, A. L., Salas, M. L., Fresno, M. and Revilla, Y. (2006). The viral protein A238L inhibits TNF-alpha expression through a CBP/p300 transcriptional coactivators pathway. J Immunol 176(1): 451-462.